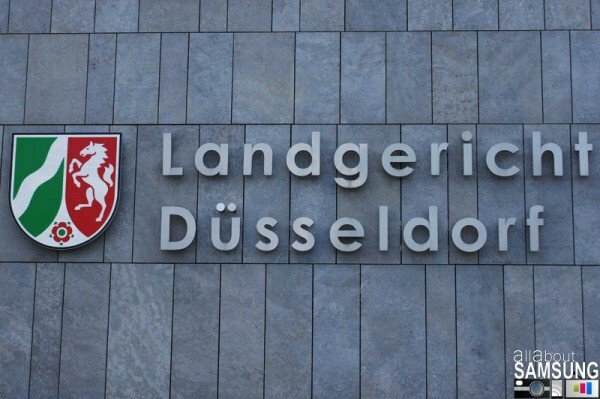 Blow for Samsung and Android: The decision has fallen in Duesseldorf. Apple has succeeded in getting a ban on the Galaxy tab 10.1 in Germany. What more can you say? Based on their disappointed response at the IFA, German Android fans are going to take this hard. Apple's main arguement hinged on the fact that the Samsung Galaxy Tablet was similar in appearnce to the Apple Ipad. According to the main Judge, Samsung failed to keep "the required distance from the established Apple design", which is why he has issued an ban on the sale of all Galaxy Tabs 10.1 in Germany. In 2004 Apple copyrighted the so called "Taste profile" of the tablet PC in general meaing that all companeis producing products with similar appearances could be in violation of their "Taste Profile" copy right. According to Germany'S Der Spiegel the ban could move beyond German boarders to the whole of Europe. A link to the full press release can be found here. No , sales tax is lower (8%) but salaries are higher and companies allow them-self a higher profit margin. And if it is worth it depends how far north one lives. @Martin Really? Is there a huge price hike? I heard that the taxes in der Schweitz are a bit higher then in Germany.... think it would be worth the trip down for Android Fans if they really want to get their hands on one? It is an import ban for Samsung only. Devices already in the country can be sold. And if you really want one I suggests a weekend trip to Switzerland. So what are they going to do with units that are already in the country? Because Id take those off their hands for cheep. Well that's obvious isn't..... she displayed sound judgement and reason! But seriously this decision is crap. Though if they already knew that Apple had a design copyright shouldn't they have been able to account for that during planing like Martin suggested? Why does it matter that the judge was female? The Samsung Galaxy Tablet looks to much like an iPad. That the Designes (Google translate translates “Geschmacksmuster” to “designs”) where vague did not matter any more in the final verdict. The (female) judge had the real devices available. She also pointed out that Acer, ASUS and Toshiba where able to create tables pc which do not resemble the iPad as closely. So my guess: If Samsung would paint the devices brown like ASUS there would not be a Problem. Samsung should have seen this coming shouldn't they? If there sticking so many million in development couldn't they have done their own research and figured out how to avoid Apples patents? We don't haev any more details at the moment. We're still waiting for official word from both the court and the companies in question. We will however bring all the latest as soon as it breaks. This can't be right... I mean really... what are they smoking? I'm confused. Can you tell me more? On what charges did they succeed? Wasn't the evidence tampered with? Didn't the judge throw the case out before? This is bad reporting, need more info.